Whether you’re planning your breakfast, brunch, or dinner menus– this Cheddar Bacon Ranch Quiche will be the unrivaled star of your spread. A flaky, buttery pie crust holds the perfect blend of soft fluffy eggs, sharp cheddar, crisp crumbled bacon, and rich ranch dressing. Each serving is a little slice of Heaven that’s just meant to be shared. Have you started your Holiday meal planning yet? Our is well under way. It usually involves me making a list of all my favorites for different courses over different days, then giving the list to the Hubs. This is only step one. He will give this first draft back, usually stuck in some random place that makes no sense to me whatsoever so I’ve really got to look to track it down. It will have a few things crossed out and a few ‘suggestions’. Crossed out? Well that’s guaranteed to be anything deemed to ‘healthy’– usually anything involving multiple vegetables. I don’t even put the ‘greens’ on there anymore. I’m cooking, I like them; therefore, they’re ON the final menu. Next on the chopping block are his ‘suggestions’. I use this term lightly because it’s usually like a zillion desserts or sweet treats. While I can totally appreciate the want to indulge, especially over a good cinnamon bun at breakfast, or a rich dessert shared with family– our menu needs balance. Brunch is one are where we almost always agree though. Weirdly, even if it’s something he hasn’t had before, this is the one area where he doesn’t question it. I guess he feels safe in the category typically associated with meat and eggs. Yes, I know I could totally veg out in this area– I just don’t. I know he’s going to be please to see this Cheddar Bacon Ranch Quiche on this year’s list. It’s a family favorite that never gets old– everyone looks forward to their slice of this pie. Even Son # 2, our scrambled egg purist (seriously, this kid would opt to go hungry until lunch or dinner for years rather than stomach something in his eggs other than egg), can’t wait for his slice and then some. A buttery, flaky pie crust is the base for this hearty ‘cracked out’ quiche. No friends, no nefarious substances included, just a fun term used to describe the ‘addicting’ flavor trio of sharp cheddar, crisp crumbled bacon, and ranch dressing that we’ve lovingly folded into soft, fluffy scrambled eggs. Sprinkled with a little extra shredded cheddar on top, this Cheddar Bacon Ranch Quiche is baked to golden brown perfection. It’s a little slice of Heaven on your plate, and it’s the perfect indulgent dish to share with family and friends around the brunch table during this season of celebration and fellowship. We love to pair it with a cold glass of OJ and a simple fruit salad. 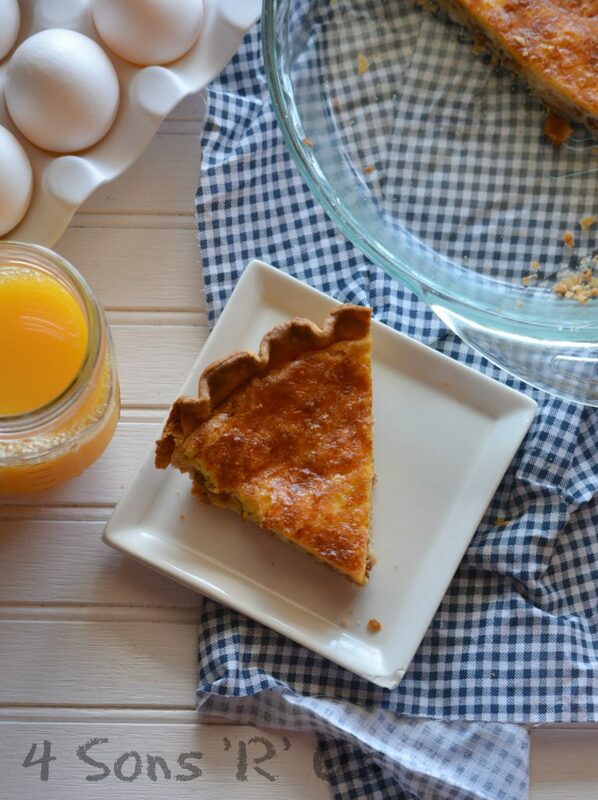 A simple breakfast quiche that offers an addictive flavor combination featuring sharp cheddar, crisp bacon, and ranch dressing. Place the pie crust evenly into a 9" pie dish. Crimp/pinch the edges at the top if desired. Spread the bacon evenly out over the bottom of the pie crust and then sprinkle the shredded cheese evenly out over top of it. In a medium-sized bowl, whisk together the eggs, milk, cream, and dressing until the mixture's smooth and evenly combined. Pour the egg mixture evenly out over bacon and cheese. Wait about 30 seconds for the mixture to 'settle'. Bake the quiche at 375 degrees for 40-50 minutes, or until a toothpick inserted in the center comes out clean and the top is golden brown. 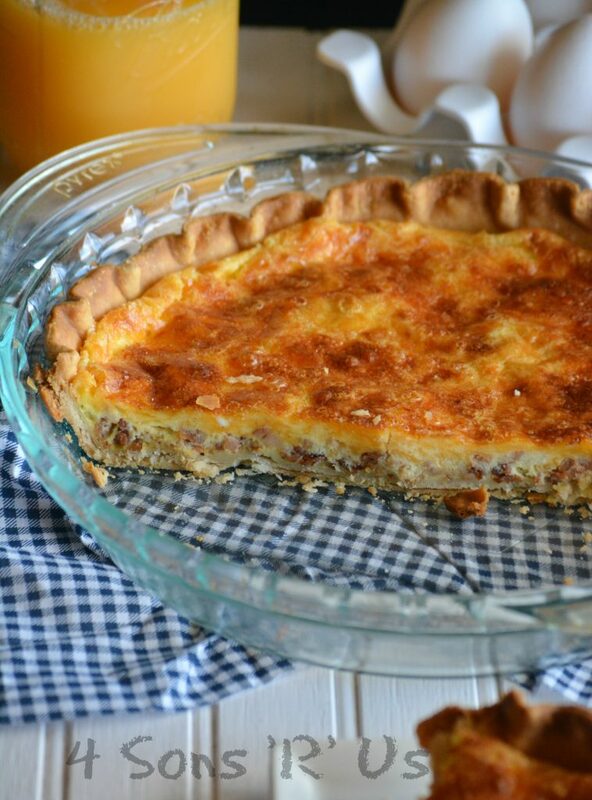 Remove the quiche from the oven and allow it to rest for 5 minutes before slicing and serving. This can be made the night before and refrigerated, covered, overnight before baking the next morning. What’re your favorite breakfast/brunch pairings with you meat and egg dishes? Let us know in the comments! 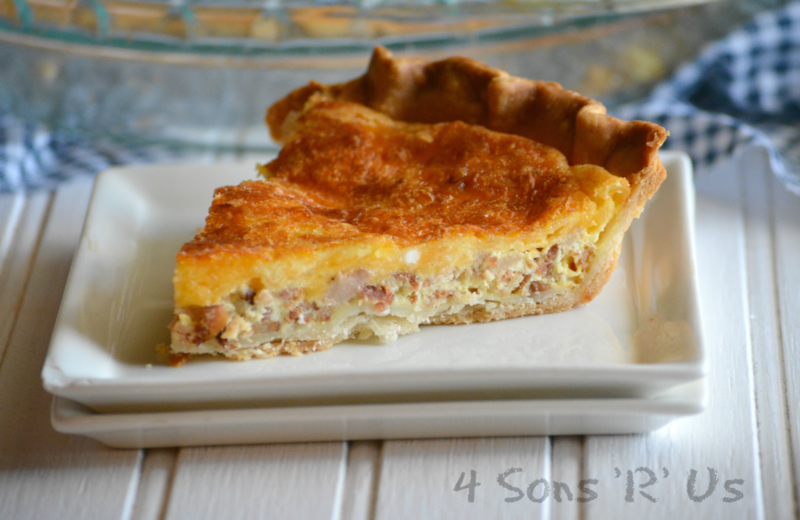 I adore a good quiche! 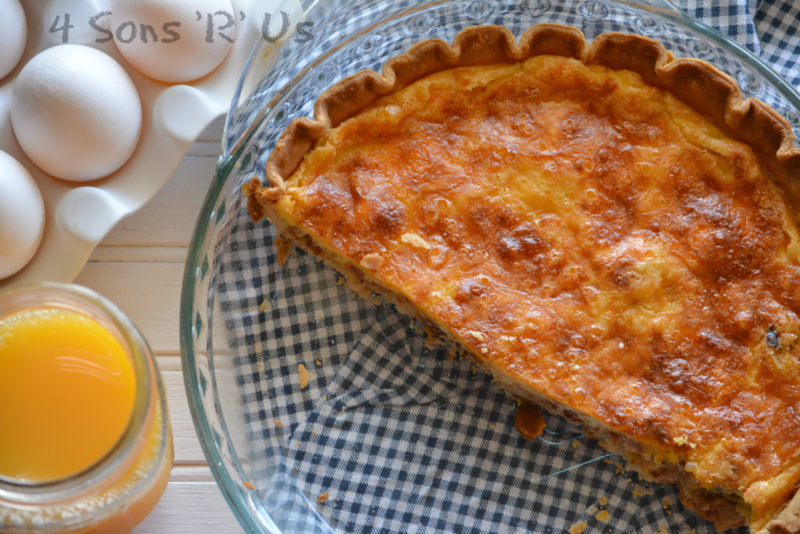 Your quiche looks amazing and I love your photos! Thank you for bring your yummy quiche to Fiesta Friday!